We have a variety of accommodation to choose from. 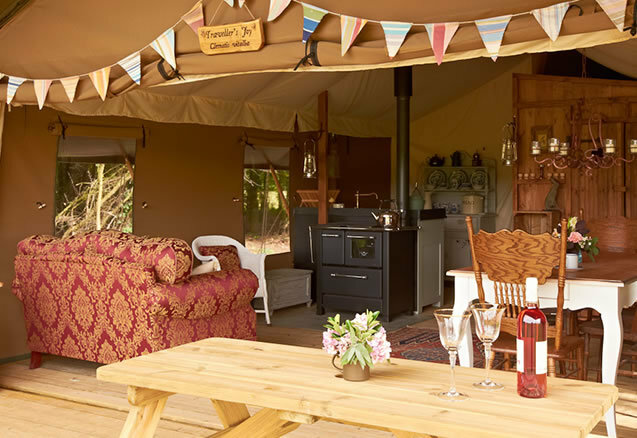 Our wonderful range of glamping accommodation includes 6 luxury lodge tents, a 2-storey luxury safari tent, gypsy caravan, shepherd’s hut and converted horsebox truck. 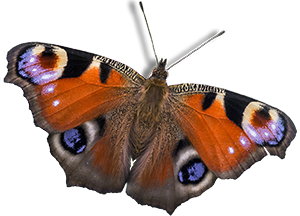 All are situated at White House Farm Nature Reserve, in rural Suffolk, a haven for wildlife with 115-acres of meadows and woodland. Secret Meadows provides a rare opportunity to experience a nature reserve through day and night, while enjoying quality holiday time. 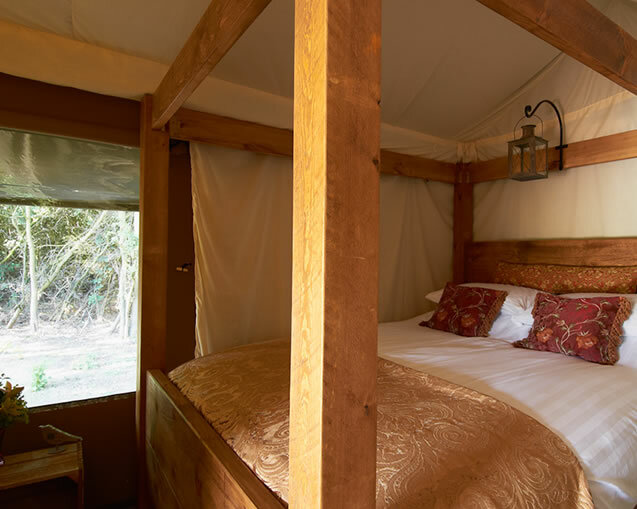 Luxury lodge tents are dream tents, beautifully furnished for a country-inspired home away from home. 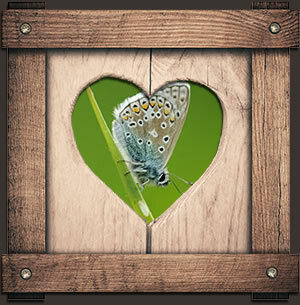 Wonderful for couples, families and groups alike, guests are often reluctant to leave them! 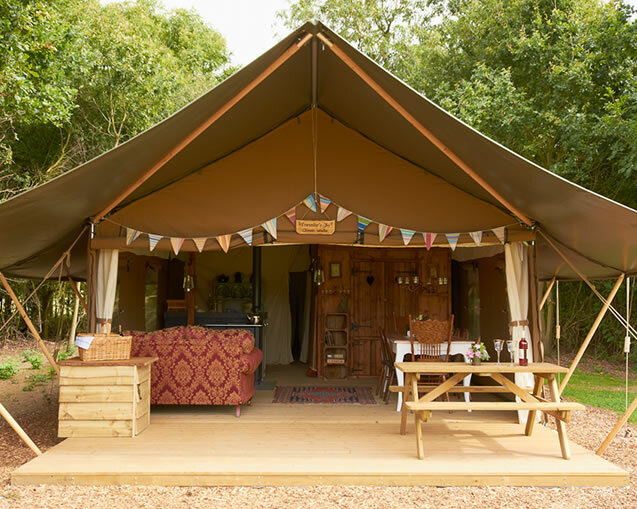 Including a fully equipped kitchen, wood-burning range, sofa, private loo and shower, and even a 4-poster bed, each tent is nestled in its own wooded area, overlooking one of the many meadows. 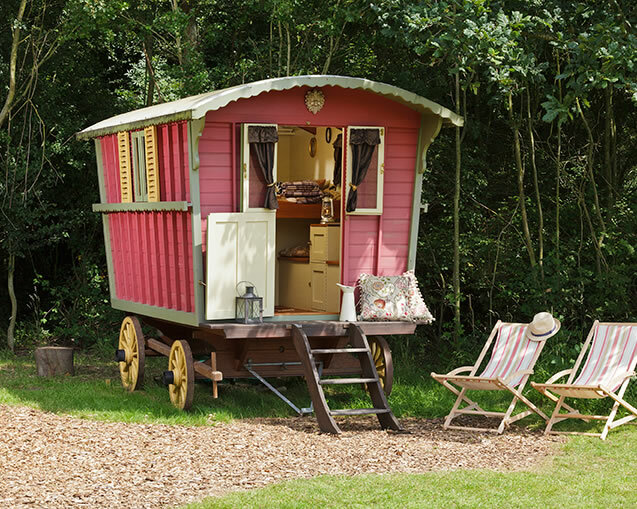 This romantic hideaway provides a charming gypsy caravan and shepherd's hut in a secluded meadow and woodland setting. 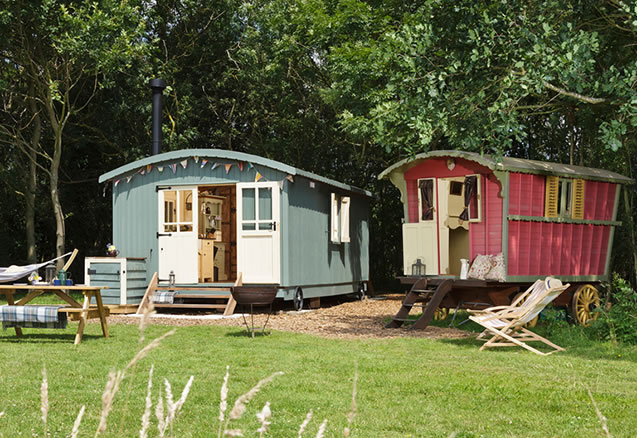 Gypsy's Rest has been lovingly furnished in vintage-style including a fully equipped traditional kitchen, wood burning range, sofa, private loo and shower. 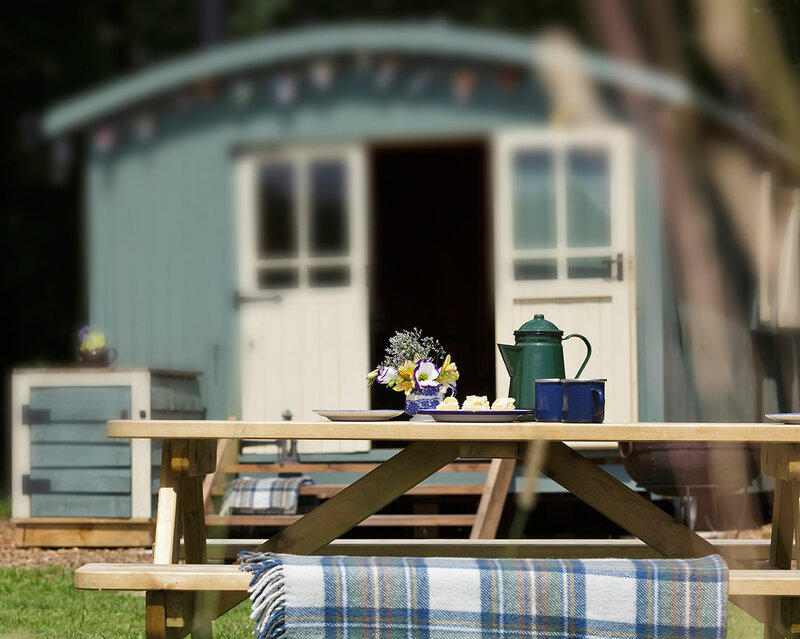 Extra touches include ready-made beds, barbeque, deck chairs and hammock to encourage you to relax! 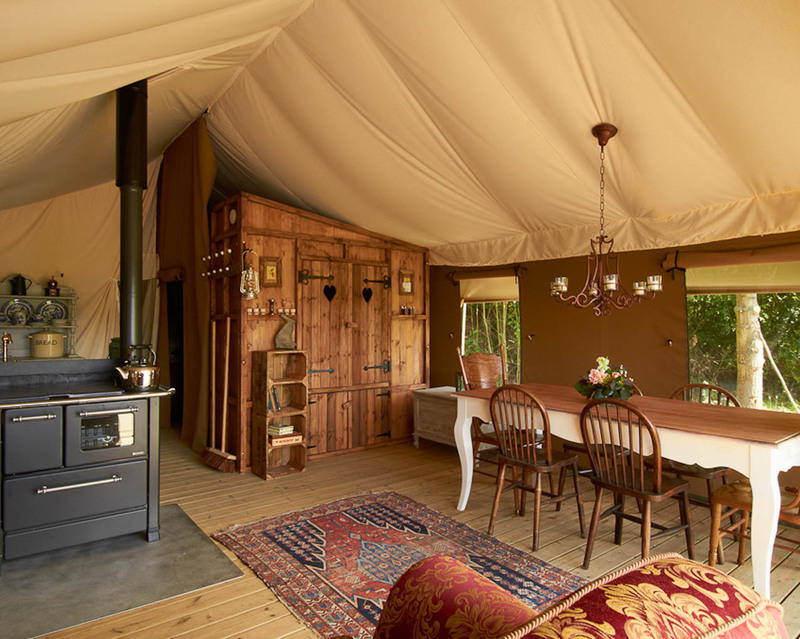 Similar to our other safari tents (Luxury Lodge Tents) but with a bit more wow factor! 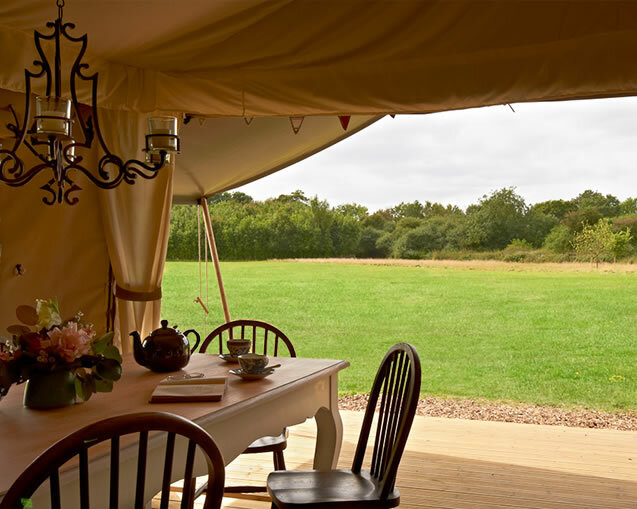 This two-storey tent is nestled amongst trees overlooking a meadow so it has a lovely private feel just like our other safari tents. Spacious, stylishly furnished and with all creature comforts considered. 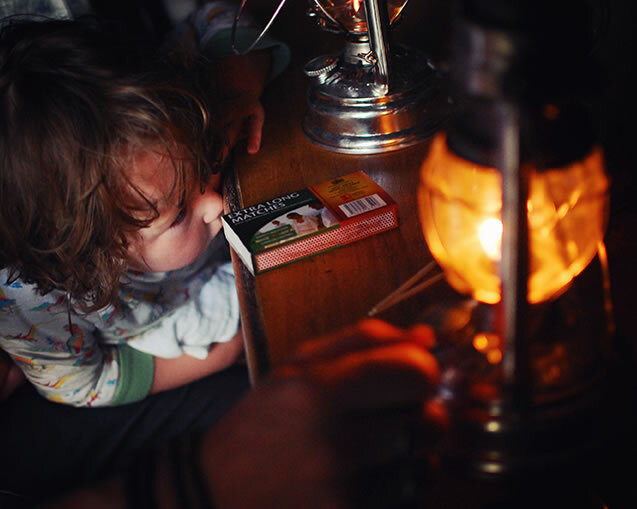 There’s also electricity but candle and oil lanterns are still provided in case you’d prefer the electricity-free experience! A fully equipped kitchen has hot running water, gas cooker, oven and fridge. 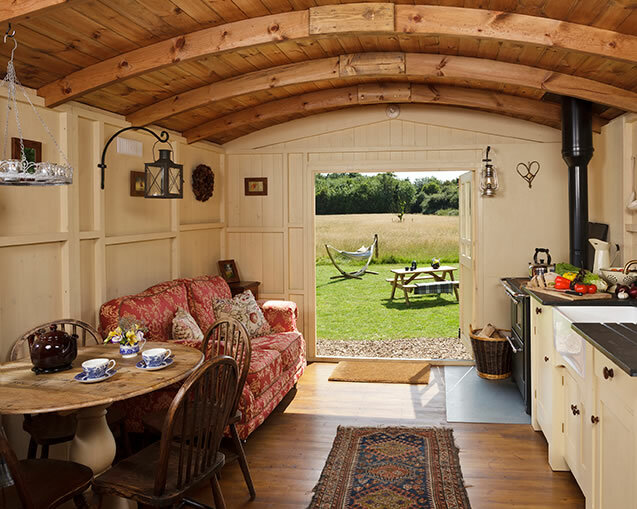 There’s also a wood burning stove, sofas, large dining table and chairs and two private loos and showers. Downstairs there is a double bed hidden in a cupboard and a king-size four-poster bedroom. 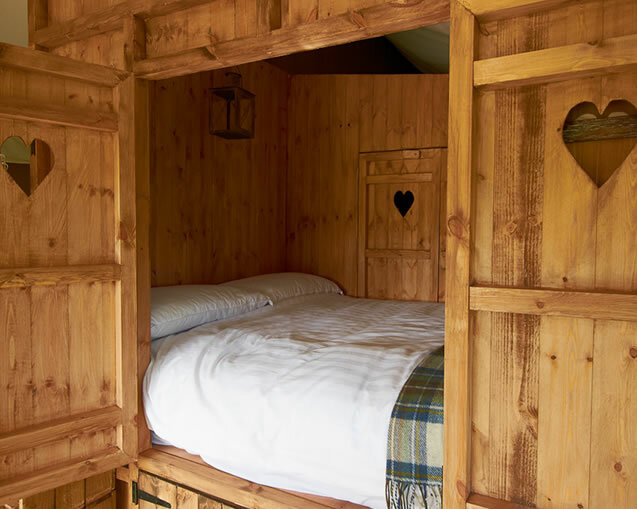 Up the wooden staircase there are two cosy bedrooms overlooking the trees, one with a double bed and one with two single beds. A converted wooden horsebox truck with a Middle Earth theme overlooked by a large oak tree (or possibly an Ent*). 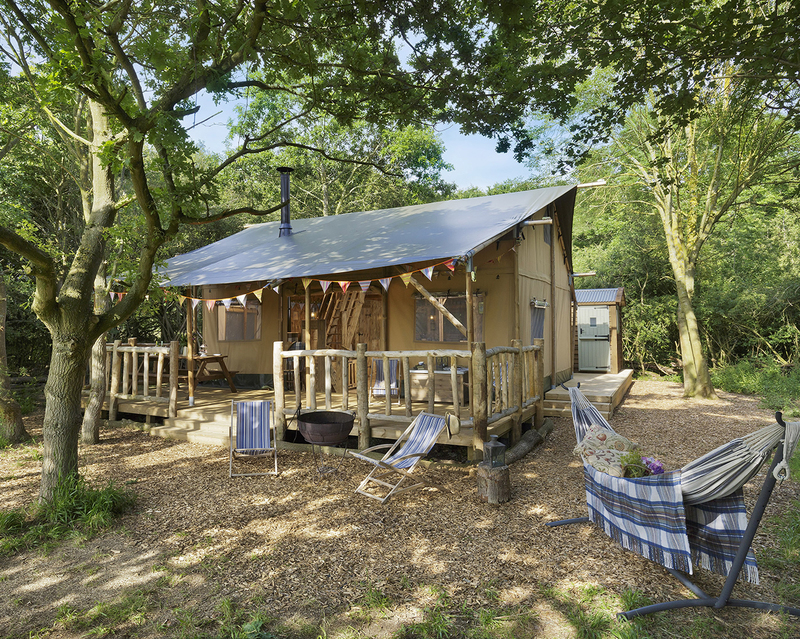 Imaginatively designed for those who seek a bit of magic and adventure the Hobbit Box is parked in its own meadow with ancient woodland in the background. 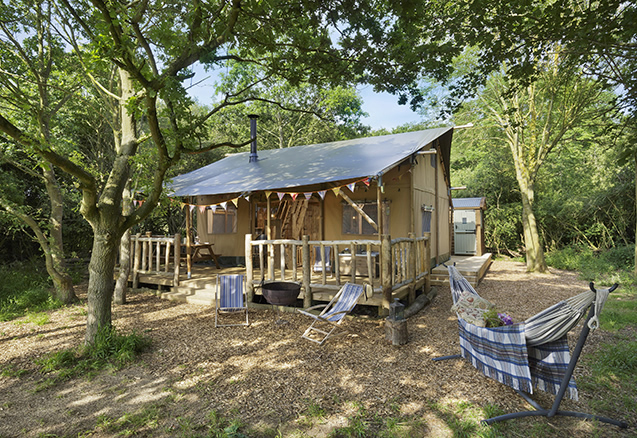 Includes fully-equipped kitchen, cooker, wood-burning stove, sofa, cosy bedroom and private loo and shower. Electricity also provided for modern-day Hobbits. *Beings who closely resemble trees, found in Middle Earth.